By now, we all know that getting our sweat on does wonders for our physical and mental health. But that doesn’t make it any easier to get us off the couch, pause our Netflix marathon, and get our blood pumping—especially when six-pack abs don’t happen overnight. When asked, people give lots of reasons for why they work out: to gain more strength and endurance, manage weight, and look better. Those motivators—the model-hot looks (or at least some improved definition) and health impacts (avoiding dad’s coronary bypass)—are the long-term benefits. But the reality is that it’s hard to get excited about long-term benefits. That’s just not the way our brains are built—we’re wired for instant gratification. We struggle with delayed gratification in all parts of life, not just when it comes to achieving our fitness goals. In the famous Stanford marshmallow experiment, children were given the choice between eating a small snack now, or waiting 15 minutes for a larger snack. Two-thirds ended up eating the smaller snack that was in front of them rather than waiting for the bigger promised snack Cognitive and attentional mechanisms in delay of gratification. Mischel W, Ebbesen EB, Zeiss AR. Journal of Personality and Social Psychology. 1972 Feb;21(2):204-18. . Similarly, in economics, researchers have found that when people are offered $50 now versus $100 a year later, most will opt for the instant reward. While the long-term benefits of breaking a sweat are definitely worth the wait, there are also some powerful perks you'll experience right away. And for many of us, those are much more likely to convince us to head to the gym right now (or at least after finishing this article). You don’t need an hour-long, high-intensity workout to trigger a grin. Just 20 minutes of jogging has been found to elevate mood—and surprisingly the intensity doesn’t matter Relation of low and moderate intensity exercise with acute mood change in college joggers. Berger BG, Owen DR. Perceptual and Motor Skills. 1998 Oct;87(2):611-21. . In fact, there’s reason to believe that pushing yourself too hard delays or reduces the lift in your mood Comparison of high and moderate intensity of strength training on mood and anxiety in older adults. Tsutsumi T, Don BM, Zaichkowsky LD. Perceptual and Motor Skills. 998 Dec;87(3 Pt 1):1003-11. . So choose a workout you’re comfortable with and ride that (exercise) high for hours. 2. Sleep like a baby. The secret to a better night’s sleep could lie in a visit to the gym. In an Italian study, folks who worked out in the morning fell asleep quicker, slept longer, and woke up less frequently. If you’re looking to maximize your zzzs, stick to cardio. While strength training helped study participants have a good night’s sleep, cardio impacted sleep quality even the next night. Other research has shown that exercise leads to more deep sleep The effects of acute and chronic exercise on sleep. A meta-analytic review. Kubitz KA, Landers DM, Petruzzello SJ, et al. Sports Medicine. 1996 Apr;21(4):277-91. , which is not so surprising when you consider that growth hormone—the thing that repairs tired and torn muscles—spikes during deep sleep. We all want to feel like we’re on top of the world, and working out can be just the thing to boost your confidence. Researchers in Norway found that children who exercised regularly showed signs of improved self-esteem in the short term after working out Exercise to improve self-esteem in children and young people. Ekeland E, Heian F, Hagen KB, et al. The Cochrane Database of Systematic Reviews. 2004;(1):CD003683. Other research has found that achieving a goal (whether it be doing a few push-ups or learning to do a handstand) has a positive benefit on the way we view ourselves. And we don’t even have to be aware that we have that goal in the first place. Meeting unconscious goals—like that vague intention to work out that you’re feeling right now—also gives a self-esteem boost. Moderate aerobic exercise (like running or cycling for 30 minutes) can make us ninja-like with our reaction speed and improve our problem solving abilities Effects of aerobic exercise and gender on visual and auditory P300, reaction time, and accuracy. Yagi Y, Coburn KL, Estes KM, et al. European Journal of Applied Physiology and Occupational Physiology. 1999 Oct;80(5):402-8. —just the things you need for a productive day at the office! But try not to push too hard too fast. High-intensity interval training has been found to cause physical fatigue that also makes your reactions slower Effects of strenuous exercise on visual perception are independent of visual resolution. Ando S, Kokubu M, Nakae S, et al. Physiology and Behavior. 2012 May 15;106(2):117-21. doi: 10.1016. . The days of aching, sore muscles that inevitably follow a return to the gym can make it hard to remember one of the best parts of working out: It can be a lot of fun. Research has found that minimizing pain (or perceived pain) from working out can be as simple as thinking about the activity as something you’ll actually enjoy Predicted and actual exercise discomfort in middle school children. Kane I, Robertson RJ, Fertman CI, et al. Medicine and Science in Sports Exericse. 2010 May;42(5):1013-21. . After all, liking a specific workout is a strong predictor of whether you’ll return again. One quick trick to make exercise more fun: Make sure you’re listening to some bumping beats throughout your workout. This kind of enjoyable distraction can double the mood-enhancing impact of exercise An enjoyable distraction during exercise augments the positive effects of exercise on mood. Privitera GJ, Antonelli DE, Szal AL. Journal of Sports Science and Medicine. 2014 May 1;13(2):266-70. .
1.Have an answer to common obstacles. Some of the most common reasons to skip a workout: you’re tired, stressed, or sad. When you find an excuse to not exercise, carefully examine whether exercise would provide an immediate benefit. As Michael Otto, a psychology professor at Boston University, says, "Failing to exercise when you feel bad is like explicitly not taking an aspirin when your head hurts. That's the time you get the payoff." You don’t need to do soul-crushing workouts to get the immediate benefits of exercising. So don’t. Otherwise, your memory of feeling energetic after a workout will have to compete with that memory of puking after your last attempt at a bootcamp. And make sure to pay close attention to how you feel at the end of a workout. Research on memory shows that we remember the emotions associated with the peak of an experience and the end of an experience the best. All the more reason to end on a high note! 3. Record the immediate benefits. So, yes, there are plenty of long-term benefits to exercising, but those aren’t going to get you to the gym tonight. Focus on all the ways exercise makes you feel better now and you’ll be in good shape. Need some more more motivation? 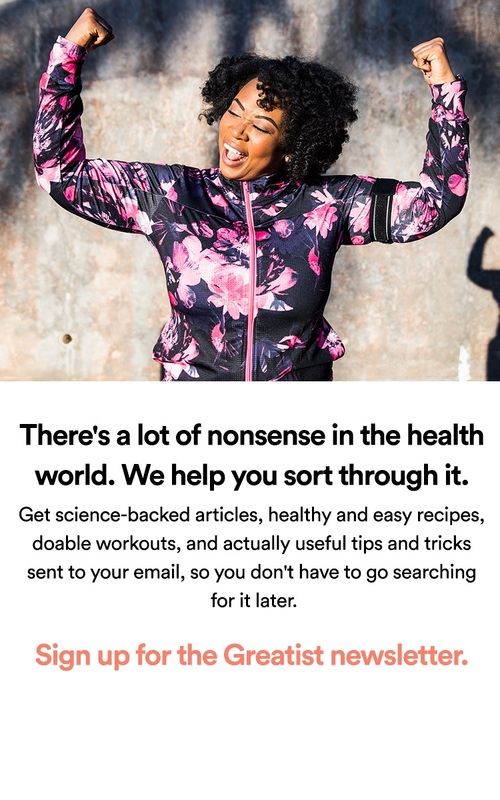 If you want to ensure that you actually work out (even just for just a few minutes every day), check out this FREE 5-day email series on How to Get Back to Working Out. 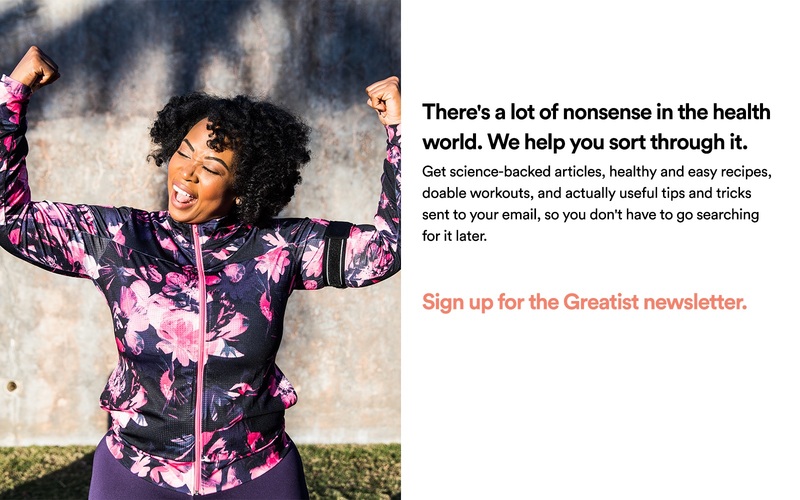 In each email you’ll learn simple strategies that’ll motivate you to actually work out. Sign up here to get started, and we’ll send you the first email today. Ben Rubin is the co-founder and CEO of Change Collective, which offers courses led by world-class experts, designed to help you make lifestyle changes. He previously co-founded Zeo, a pioneer in the quantified self that helped people sleep. But he also offers a powerful reason to practice the development of concern for others. Because no matter how badly you want to take it back, real life doesn't have an "undo" option.